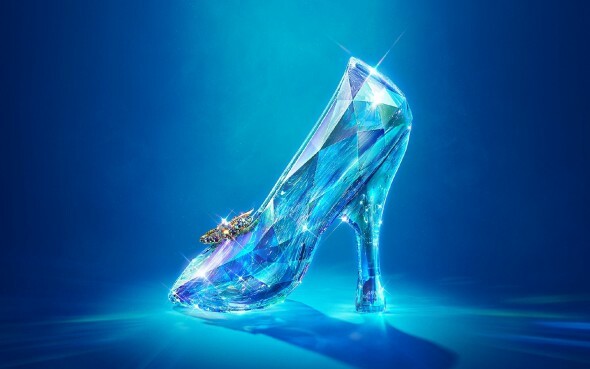 It seems weird that Disney and director Kenneth Branagh would remake Cinderella in 2015. The animated classic that generations grew up with feels rooted in the gender norms of the middle class culture of the 1950s. To put Cinders up on the big screen today…I didn’t know what to expect. But this is Disney…a company that somehow managed to make a blockbuster franchise out of the Pirates of the Caribbean ride. Sometimes they do make magic happen out of the most gossamer of source material. I anticipated some serious updates. After all, the classic was pretty thin on plot. The mice carried most of the movie. And this one is live action and nearly 40 minutes longer. There’s a lot about the new movie that remains familiar. Cinderella is portrayed as an impossibly earnest and optimistic blonde by Downton Abby’s Lily James. Her mother’s early demise leads to a stepmother and two new stepsisters. Then her father bites it. Her social status falls until we find her nestled into the ashes at the hearth struggling for a few minutes of sleep in between her stepfamily’s incessant demands. There are some updates, though. There is a nod to diversity in the casting, a new moral (have courage and be kind), Cinders and the prince get to exchange some dialogue before still randomly falling for each other, and there are extended scenes of Cinders’ childhood and Stepmama behaving badly. Much of the cast is delightful. Cate Blanchett hams it up as the Evil Stepmother in some truly amazing costumes. Helena Bonham Carter takes a daffy spin as the Fairy Godmother. And, in a bit of an upstairs/downstairs reversal, Downton Abby’s Daisy (Sophie McShera) flounces around in catty splendor as evil stepsister Drisella. The animation that transforms mice into horses and lizards into footmen is Disney magic at its best and is probably the highlight of the film. Ultimately, however, after movies like Enchanted, that take the tropes of these familiar tales and update them, Cinderella seems oddly dated. It’s like a pair of glass slippers—something beautiful to look at that doesn’t make sense in today’s world.